Providing you the best range of jute soil saver, jute ground cover and jute soil cover with effective & timely delivery. We are one the well-known manufacturers, suppliers and exporters of Jute Soil Saver. 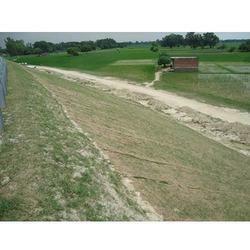 The offered jute soil saver is commonly used in the areas which experience high rainfall and wind. Our supplied jute soil saver can be easily customized according to the client requirement and needs. The offered jute soil saver is available at very affordable market selling rates. We are one of the widely acclaimed manufacturers, suppliers and exporters of Jute Ground Cover. The offered jute ground cover is very widely used for covering the ground surface during hot summers. Our supplied jute ground cover is highly liked and acclaimed for facilitating re-vegetation and preventing soil erosion. We feel proud to introduce ourselves as the well-known manufacturers, suppliers and exporters of Jute Soil Cover. The offered jute soil covers are widely used for the prevention of soil erosion in high wind areas. 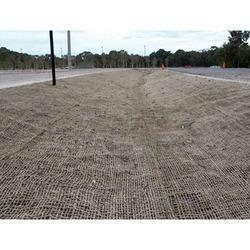 Our supplied jute soil covers are bio-degradable and eco-friendly. Looking for Jute Soil Saver ?